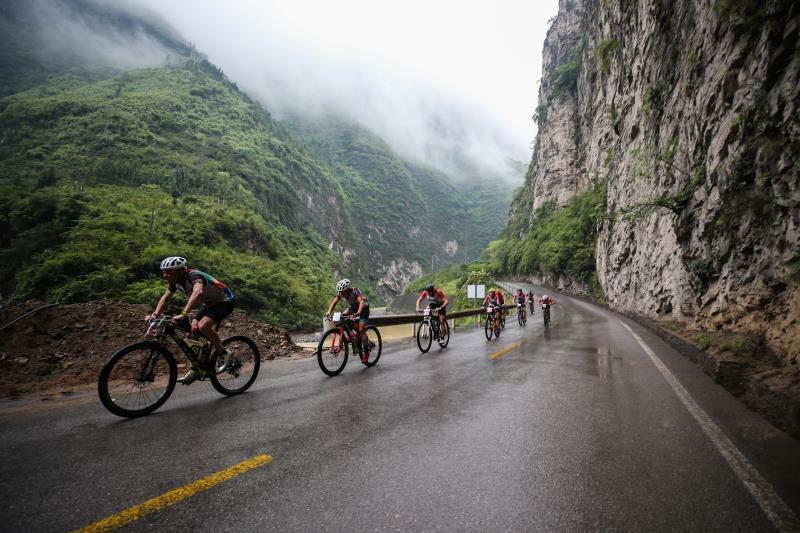 CURRANZ-powered Dougal Allan celebrated a high-profile win with his adventure racing team in China last weekend, bringing an end to a long winning streak in the race by Raw Adventure. Dougal's team consisted of Marcel Hagener (former pro cyclist/experienced adventure racer), Simone Maier (Ironman triathlete) and Sam Clark (World Multisport Champion/3x NZ Coast to Coast winner). Fresh from three runner-up placings in similar adventure races in China last month, they came back hungry to take the win, which attracts some of the best teams in the world, with a total of US$100,000 prize-money on offer. The race entailed three long days of adventure-based disciplines - mountain biking, running, kayaking and rope skills. Dougal said: "Having dabbled in professional Ironman events for the past five years I enjoyed a return to adventure racing and remember how hard this sport is - it's certainly the hardest format of racing I know, which makes it all the more rewarding. It was a wonderful win for our team." Watch this space as Dougal heads next to Western Australia to compete in the largest multi-sport race in the world, the Augusta Adventure Fest.